Emma's first time show goes Best of Breed at Walla Walla and her first point. 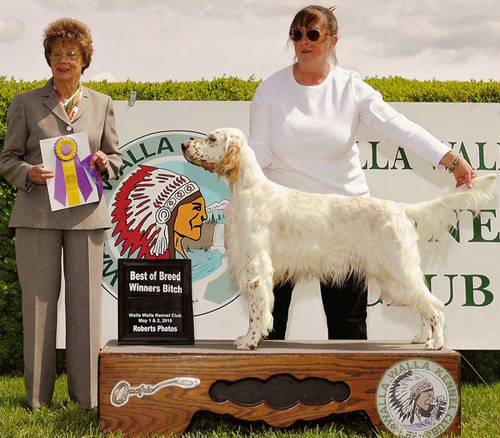 She is a very nice English Setter and so easy to show. You will definitely see more of Emma in the near future.